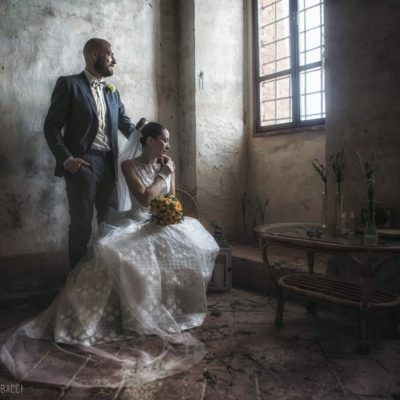 Romantic Elopement in Tuscany, Castello del Trebbio, Florence. There’s something about autumn weddings that’s kind of magical and fascinating. No matter if it’s a cloudy, windy or rainy day when all you can see is the amazing sight of the Tuscan countryside in one of the most beautiful season of the year. 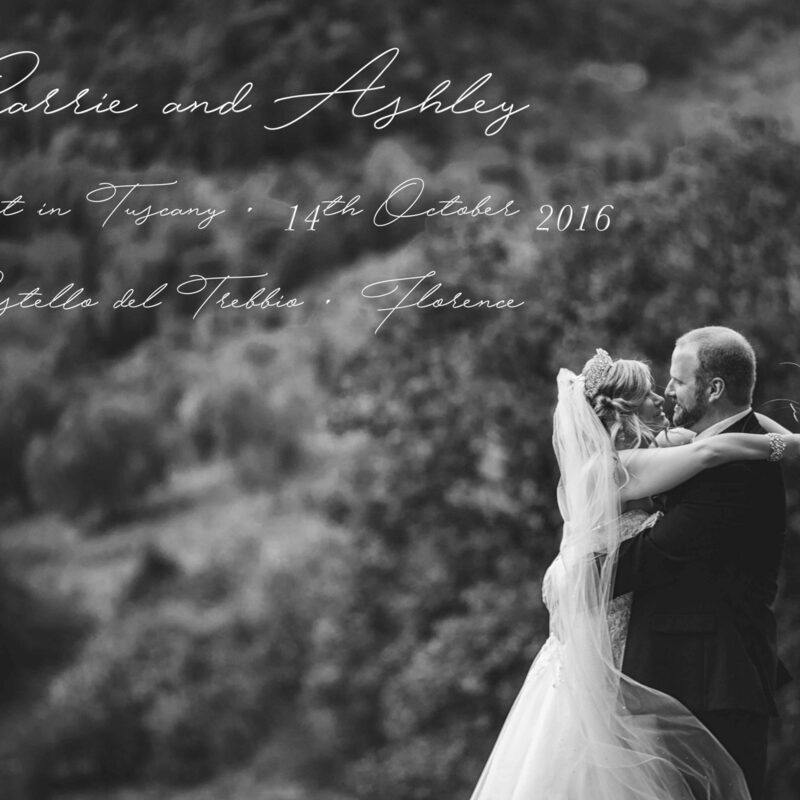 This must be the reason why Carrie and Ashley, a lovely couple from Georgia – USA, decided to live their romantic elopement in Tuscany (an unconventional intimate wedding with no friends or families) in the wonderful hilltop location of Castello del Trebbio. Once we arrived at il Rifugio – one of the five rustic-elegant apartments available for Castello del Trebbio guests – we first met Carrie, our adorable bride-to-be in her cute pink bridal socks. 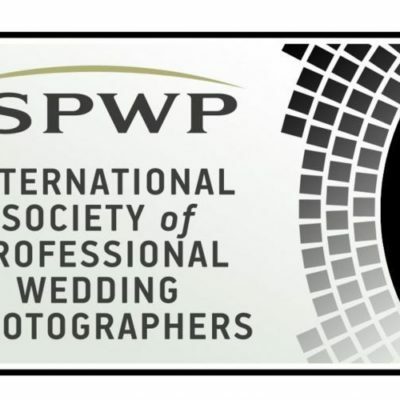 We’re always happy to take pictures during the getting-ready process but we loved this bride and groom preparation in a particolar way: just us, them and the make-up artist without the “messy presence” of friends, family members or bridesmaids/groomsmen. We enjoyed so much how Carrie tried to communicate with us in Italian using Google Translate on her smartphone (a very priceless moment! Hahaha!). Funny how we spent the entire preparation time talking about wedding ideas on Pinterest and asking each other questions about American and Italian food habits! Once Ashely – in his elegant suit and his unconventional purple tie – and Carrie – in her Disney Princess-like dress – were ready, we reached the castle courtyard to start the intimate wedding ceremony. The floral wedding decoration of ceremony set-up by Iaiaflorevents gave a colorful touch to the setting and a talented girl played the piano to create a beautiful soundtrack for this special moment. We saw love and joy in their eyes for all the duration of the wedding, especially during the reading of vows and during the Wine Box ceremony (do you know it? it’s a sweet wedding ritual where a bottle, or two in this case, of wine and heartfelt letters to one another are eclosed into a wood box locked by bride and groom: like good wine, love and fellings will mature thoughout years). After the ceremony, even if a little rain set in, we took some pictures “playing” with October wind, so happy to see how Carrie and Ashley enjoyed to “play” with us, surrounded by the cozy and warm colors of fall. 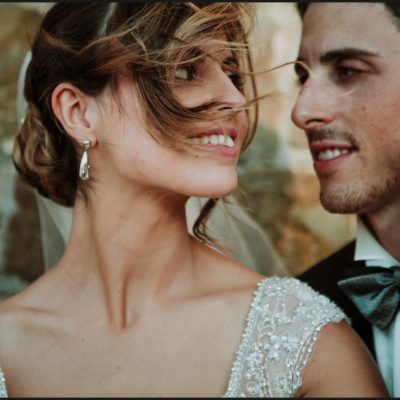 Carrie and Ashley lived their elopement in Tuscany: an outstanding place, great food, good wine… we know how lucky we are, having the possibility to work in this beautiful region!